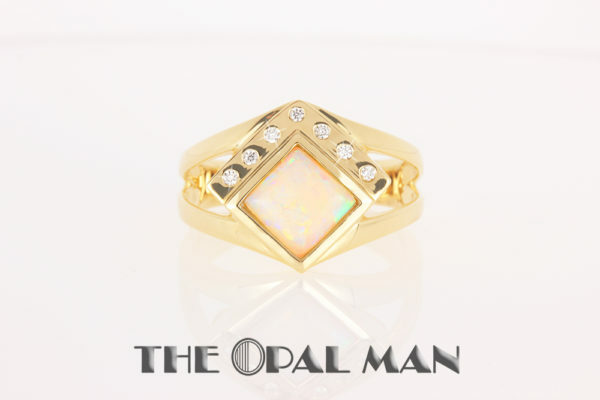 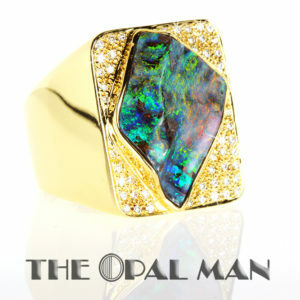 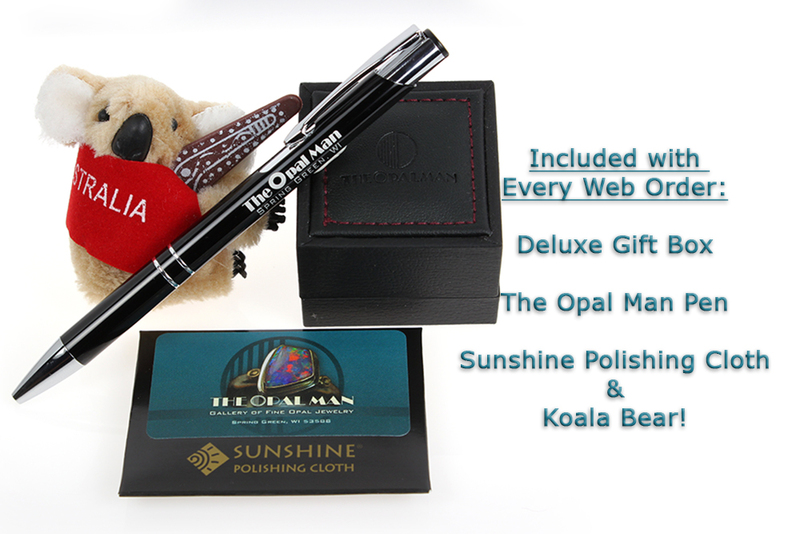 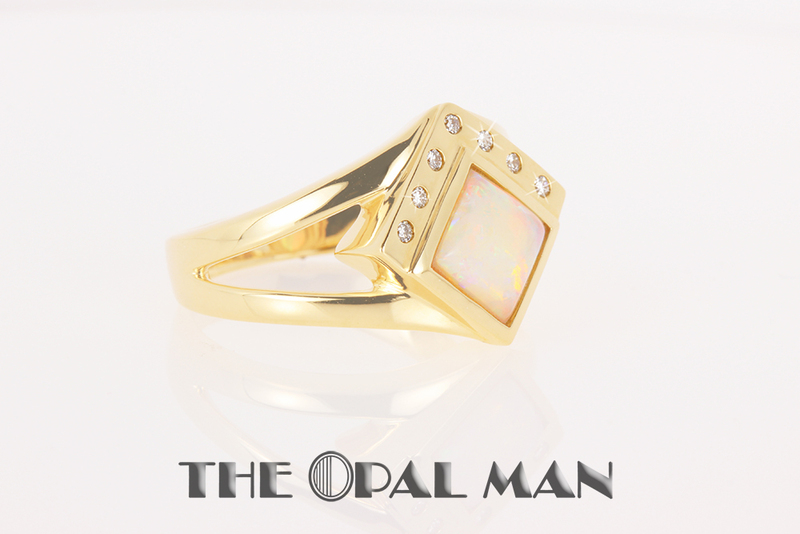 Modern 14k yellow gold ring with Australian white opal and diamond accents. 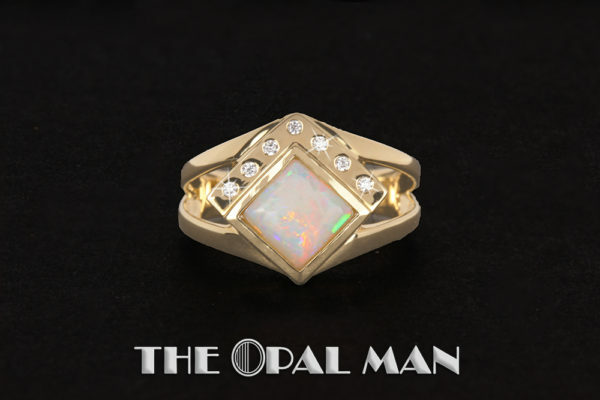 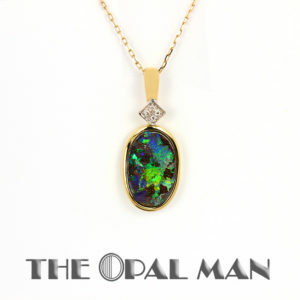 This white opal features a fiery red/orange light show beneath the slightly cloudy opal surface and dashes of green and teal streaks along the edges. 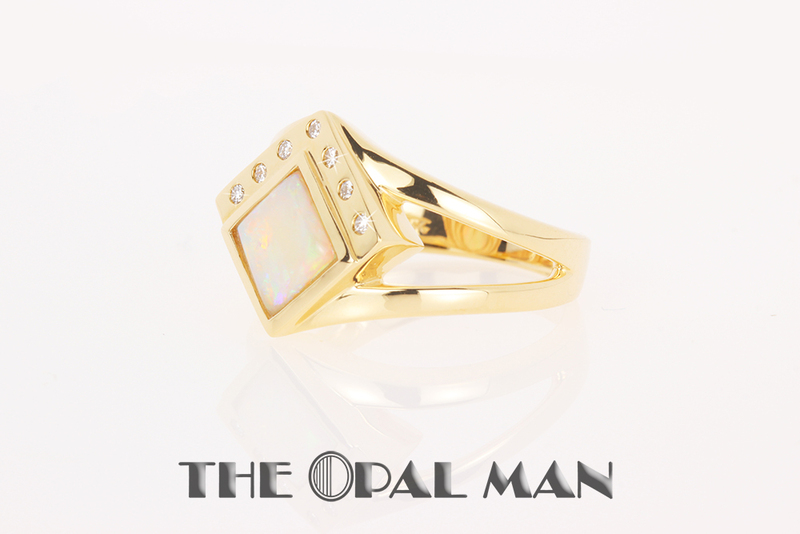 The diamonds add a nice finishing touch to the polished finish of the ring. 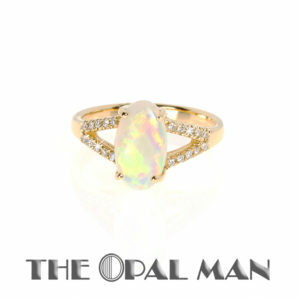 Size: 6.50 Please call if you have any questions about resizing.